For over 13 years the Philadelphia Rock Gyms have helped dozens of schools, competitive teams, corporations, and groups of all types build solid foundations for remarkable teams. 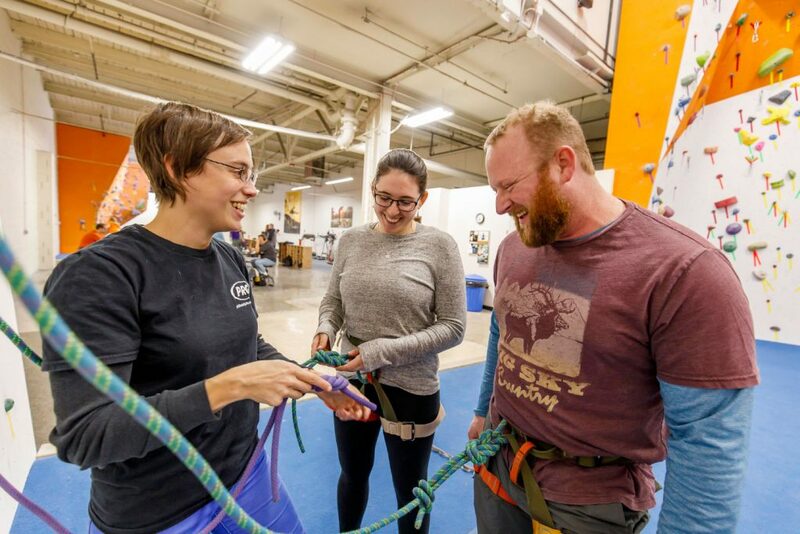 Through our program of ground-based initiatives – combined with optional climbing-based high-ropes elements – teams leave our facility energized, with stronger bonds, and with a new perspective that they can apply in their everyday interactions. We can help you do the same. Our most comprehensive team building package, the Summit includes initiatives tailored to suit the unique needs of your group. Our expert facilitators will fully customize a program to meet your particular objectives: improved communication, team problem solving, trust-building, among others. Options include any of our high and low ropes initiatives, trust falls, group workshops, and other exercises customized to take your team to the next level. Contact us here for custom time frame options and pricing! A step up from the Single Pitch, this package includes 2 hours of low ropes initiatives designed to enhance problem solving, communication, and leadership skills. 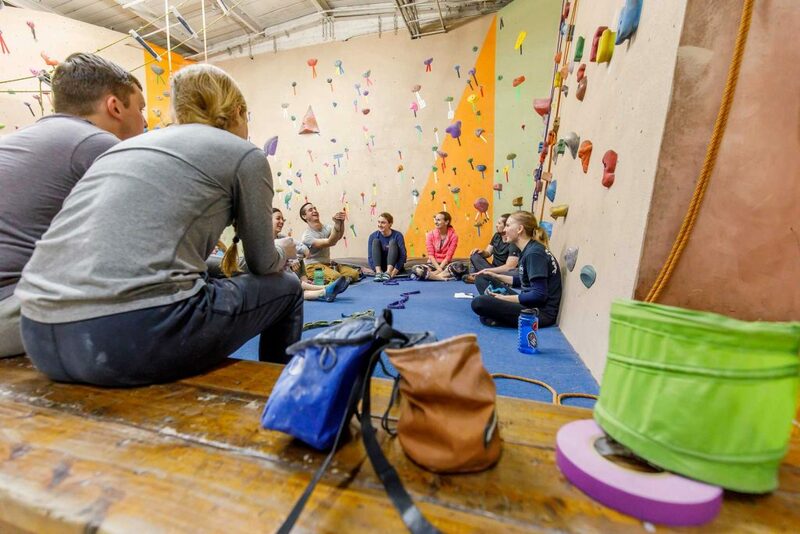 Once your team is energized our staff will supervise climbing elements that challenge and reward personal initiative. A great choice for more serious teams. Our ice-breaker program, this package includes 1 hour of team building initiatives led by our expert facilitators that get your group energized and focused on communication. Once your team is warmed up, they will move into 2 hours of climbing with our trained staff working the safety ropes. 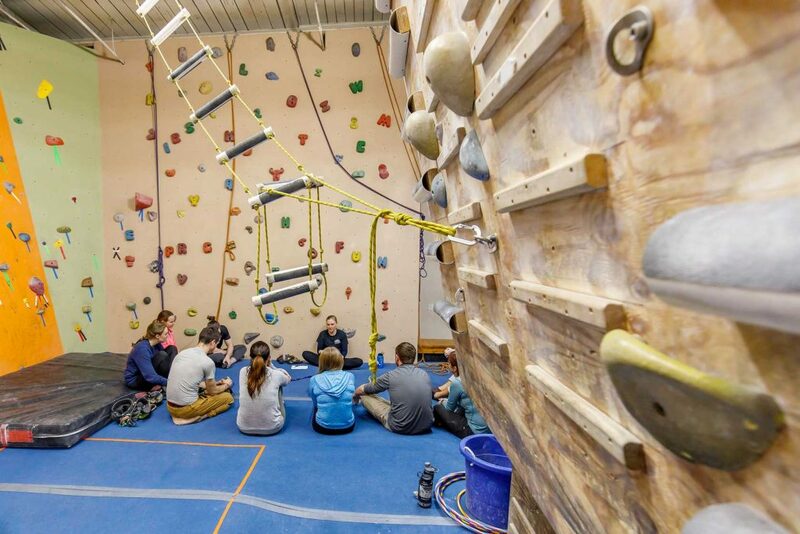 A great option for younger climbers.